Laboring behind the scenes and out of the limelight, construction cost estimators might legitimately complain that they’re the Rodney Dangerfield of construction companies. “I don’t get no respect,” may be their lament, but they can take heart in this: nowadays they probably deserve a lot more than they get, and it could be on the way. With the pressure on contractors to win not just more business but work that’s profitable, it falls to estimators to get the numbers right. But that’s a big challenge in an environment of volatile materials costs, stiff competition, increasingly tighter margins and shorter bidding windows. 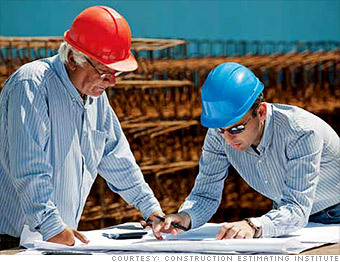 As such, demand for estimators is only likely to grow. And that translates to opportunities for those with not just the right mix of skills, training and experience, but the up-front knowledge of the forces shaping the market, the educational resources available and potential career pathways.